Ontdek Cyprus met de compleet vernieuwde reisgids ANWB Extra Cyprus! In de loop van duizenden jaren ontstonden Griekse tempels, Romeinse villa's, Venetiaanse stadsmuren en Ottomaanse moskeeën. Dit in combinatie met het lekkere weer en de vele stranden maakt Cyprus tot de perfecte bestemming voor een heerlijke vakantie. De compacte ANWB Extra reisgids Cyprus biedt naast diverse routes en veel praktische tips over hotels en vervoer ook 15 inspirerende bezienswaardigheden die je tijdens je vakantie niet mag missen. Bezoek het strand van schiereiland Karpasía, ontdek bijzondere roofkunst in het Byzantijns Museum of ga duiken en surfen rond Lárnaka. Deze kleine reisgids past gemakkelijk in de handtas en heeft een handige uitneembare kaart met daarop de beste tips voor winkelen, eten en drinken en uitgaan. In de Capitool Reisgids Cyprus is het eiland opgedeeld in zes gebieden. Elk gebied wordt in een apart hoofdstuk beschreven. Ieder hoofdstuk bevat foto's, illustraties en kaarten, opengewerkte tekeningen, driedimensionale beelden en plattegronden van de belangrijkste bezienswaardigheden. Met ook geschiedenis, accommodatie, restaurants, amusement, buitenactiviteiten en winkels. Met de frisse nieuwe lay-out, nieuwe hotel- en restaurantpagina's, verbeterde kaarten en nieuwe reisroutes heeft de reisgids een complete make-over gekregen. This book covers Greek (southern) Cyprus. North Cyprus is not included, except on the touring map (where the place names are shown in Turkish). 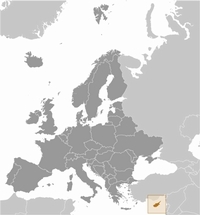 (Sunflower will publish a separate guide for North Cyprus in 2010.) The book describes car tours and walks from Pafos (Paphos), Lemesos (Limassol), Larnaka (Larnaca) and Ayia Napa; many are also accessible from Lefkosia (Nicosia). Wherever you are based, there will be a walk on your doorstep - or you can use the good transport network to get around inexpensively. This new edition has been thoroughly revised, with some new routes, and all the maps and plans have been redrawn (some based on GPS survey) to show new roads and motorways, crossing points to North Cyprus, and the new long-distance E4 route across the south of the island. The Rough Guide to Cyprus explores every corner of this Mediterranean paradise, from the fine, sandy beaches and wooded hillsides to the ancient churches and buzzing bars. The guide is fully up-dated taking in the island's entry into the EU with new colour sections offering a guide to Cyprus's hearty traditional cuisine and its rich artistic and religious architecture - breathtaking Ottoman mosques, Byzantine churches and gothic cathedrals. The full-colour introduction covers what not to miss and is illustrated with stunning photography showcasing Cyprus's dramatic natural beauty. There are dozens of reviews from the best restaurants, nightlife and hotels in Cyprus to the top shopping spots, entertainment and outdoor activities, as well as all the essential information you need for the trip of a lifetime. Now fully updated and with new photographs, this full colour, itinerary based guide has been a consistent and popular title for many years, and will enable customers to prepare for their holiday with an extensive briefing on all aspects of Northern Cyprus, including history, climate, culture, food and drink, with detailed maps and background notes. This updated guide has an extensive briefing on all aspects of Northern Cyprus, including history, climate, culture, food and drink. It also features colour maps and itineraries. Lonely Planet Cyprus is your passport to the most relevant, up-to-date advice on what to see and skip, and what hidden discoveries await you. Hike in the beautiful Troodos Mountains, enjoy delicious mezze at a chic cafe in Kyrenia harbour, or explore fascinating Roman ruins in Pafos; all with your trusted travel companion. Coverage include: Planning chapters, Lemesos & the South Coast, Troodos Massif, Pafos & the West, Larnaka & the East, Lefkosia, North Nicosia, Kyrenia & the Northern Coast, Famagusta & the Karpas Peninsula, Understand & Survive chapters.